Next to getting married or filing for divorce moving is one of the most stressful things you can go through in life. Even though you might be moving for good reasons like a new job or relationship that doesn’t mean the actual move itself is going to be without challenges. Thankfully, these terrific tips can help take the stress out of your next move. For your next move, there are a few things you should carry with you in your own car. One of them is an overnight bag. In addition to a change of clothes, you should also have soap, toothbrush, towels and bed linen in this bag. Everything you need to make it through that first night without unpacking a box. Don’t forget all your cell phone chargers, too. There will be a few items that you’re packing that you’ll want access to right away. This includes things like your coffee pot, blow dryer or anything else that you want to use on your first morning. These should be packed in a clear plastic bin so you can easily pull them out of the stacks of boxes that will be filling up your new home. Everything you’re packing is going to the same place. That is why you can utilize your towels, sweaters and other bulky clothing to wrap up things like dishes, glasses and other breakables. You’ll certainly save a lot on bubble wrap! Your boxes should be labeled for content and for a destination. That way your movers will know where you want things to go. It might also help to put notes on doors that designate master bedroom or kid’s bedroom or home office. 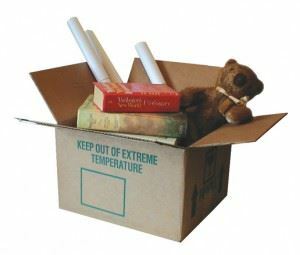 With the labels and signs you won’t have to worry about supervising your movers and telling them where to put every box. If you have the opportunity to get into your new space early, then you might want to focus on cleaning the bathroom and kitchen. They may already be clean but adding your personal touches like contact paper for the cabinets and a new shower curtain can go a long way towards making you feel relaxed in the new home on that first night. As you go through all the items in your home to pack up you’re probably going discover a lot of things you don’t need anymore. It doesn’t make any sense to bring junk with you to your new space. One call to Junk King Chattanooga can clear it all away. You can set up your junk removal session on the day before you move or after the move. Either way you won’t be doing any of the lifting are loading. That will all be taken care of by the Junk King Chattanooga team. They’ll also dispose of what you’re getting rid of in a very responsible manner. A junk removal session with Junk King Chattanooga will certainly help take the hassle out of your next move. This entry was posted in Chattanooga Junk Removal and tagged clutter, Junk King Chattanooga, move, rubbish on June 26, 2017 by Junk King. Last updated June 26, 2017 .